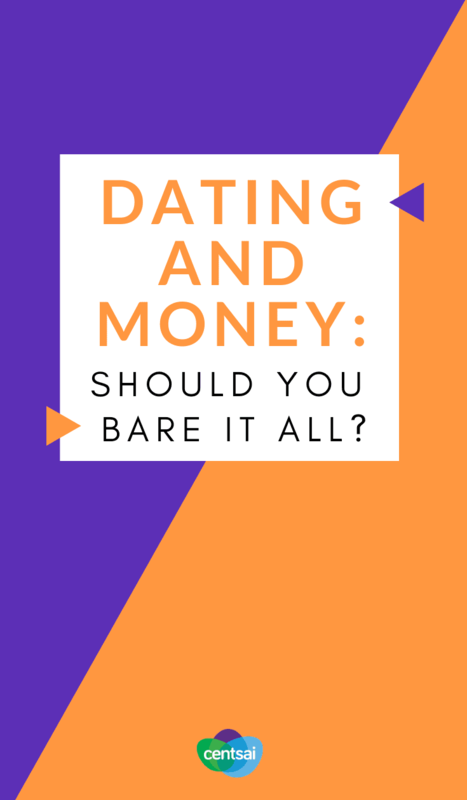 Dating and Money: Should You Bare It All? 6 second take: Talking about money is taboo. Imagine doing so on a first date! Lately, I’ve been watching a show called Dating Naked. The premise is that two people will go on a naked date. By baring it all straight away, they hope to shock and awe each other. The show is full of drama, alcohol, and uninhibited people. But I am not sure it would work for me in trying to get to know someone in my dating life. On the other hand, it got me thinking about the “let’s bare it all” process. It’s about putting all your cards on the table on your first date. When you do that, you get to see if the person is a match beyond physical attraction. This is often true for dating and money as much as anything else. I am 35 right now, and I’d like to have a family someday. What if I date a great guy for a couple of years before finding out he doesn’t want to have children? I would be back to square one at 37, with the odds of making my dream a reality even slimmer. I need to approach my dating life seriously when it comes to finances, life choices, and all other important topics. 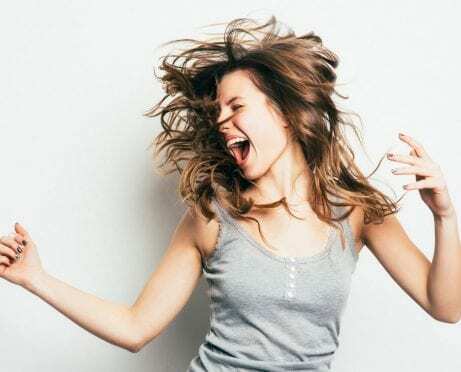 “Financial compatibility comes down to shared priorities and values,” says Brie Sodano, a personal financial analyst managing her own company, From Sheep to Sharks. 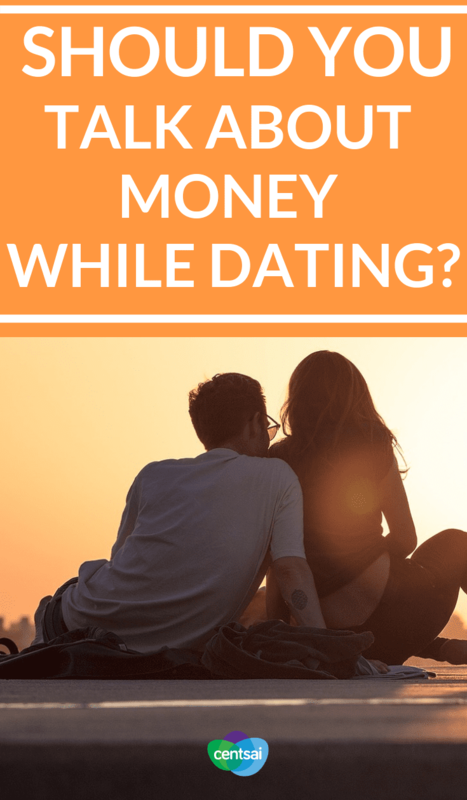 “On a first date, spending time getting to know your date’s goals and dreams and asking questions about what they do for fun can probably give you an idea about where they are financially and where they hope to be,” Sodano adds. 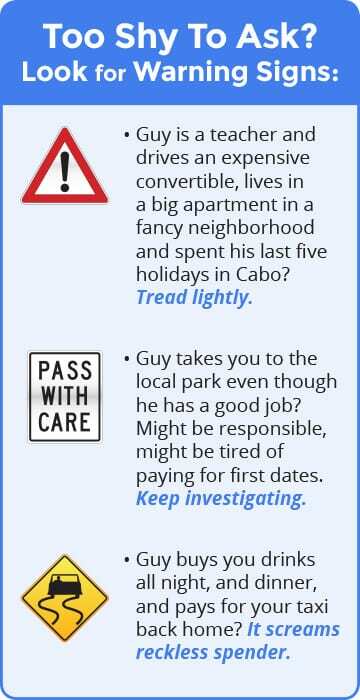 Unfortunately, money is a taboo topic that many avoid like the Zika virus for their romantic lives. Some don’t even know how much their partners earn. No wonder there are cases of financial infidelity in which somebody’s significant other racks up debt and you find out only when trying to buy a house together. While I wouldn’t ask someone for his credit score on the first date, I think knowing a bit more about his financial situation is important. Would You Bare It All on a First Date? We asked some of our readers what they think of talking about money on a first date. Usually, I introduce myself as a vague “online content writer” in the early stages of my dating life. People assume I’m just a broke freelancer who will never make it to major publications. And I’m okay with that. At the end of the date, we asked for the check and I took my credit card out to pay. He didn’t make a move — he didn’t even say thank you. I decided to end it abruptly and asked him to drive me home. He kept talking about how he’d like to see me again — or even better, spend the night with me. I was so offended that he wouldn’t even pretend to make a move to pay his share that I cut the night short and never contacted him again. It’s a two-way street, obviously. Having a girl expect to pay for you can be a pretty disappointing experience, as well. “I’m a guy, so if a girl takes it as a foregone conclusion I am going to pay, for me, it’s already a bad sign because I am looking for a partner who contributes,” says Lucio Buffalmano, a life and dating coach at The Power Moves. 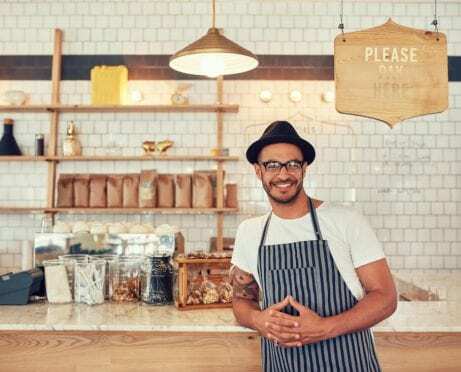 Another time, I went with a guy who described himself as “an entrepreneur, working for himself, with a good savings record.” After a few more dates, I found out he was actually just a temp worker with more personal loans than savings. I felt cheated. It’s not that I want to date a rich guy. I just want to date someone who’s financially responsible. This means someone I can make plans with. Someone who says, “Let’s save $50 a week so we can go on holidays next summer,” and is true to his word. Or more simply, someone who can take me on a date once in a while without me having to worry about how he’ll pay for it. In college, I dated a student who was responsible but broke. Our dates were hikes and cycling trips. We’d take a train or hitchhike somewhere and then camp in the wild. Or we’d pick wild berries and make jams at home together. We made each other cards for Christmas. That was awesome, and it didn’t require any money. If you want to have a more traditional date, there are still ways to keep it affordable. 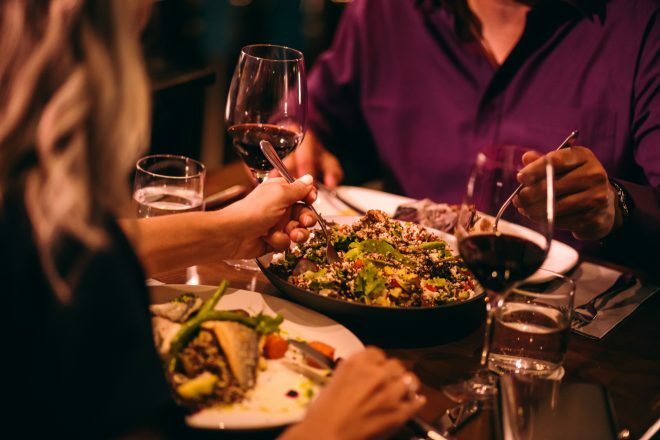 Sites like Restaurant.com can help you snag deals on everything from nice dinners to theater shows. Had that same broke guy faked a higher status and swiped our dates on his card, he would not have been so attractive. So yes, money plays a big role in my dating life. I want a partner — an equal who will put his fair share in the relationship. And that includes money. It may seem awkward, but by baring it all on the first date, I save a lot of time and avoid potential heartbreaks. Additional reporting by Kelly Meehan Brown. When Should Couples Talk About Money? 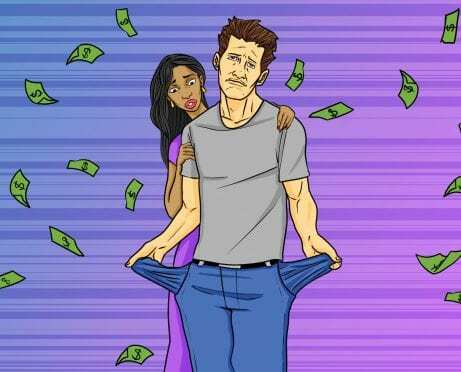 Relationships and Money: Is His Bank Account Your Concern?